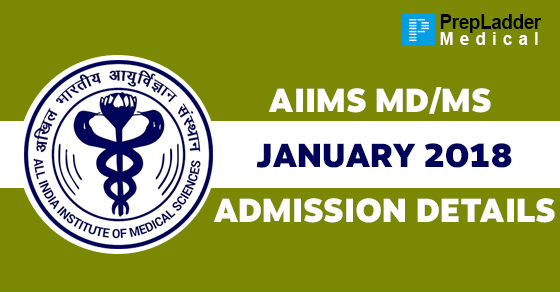 As PrepLadder earlier updated their readers regarding the registration process for AIIMS MD/MS courses (January 2018 session), we now present this blog to shed light on the complete admission details, after going through with fine-tooth-comb, which aspirants need to know to apply for these PG courses in a rationalized manner. The last date to register for AIIMS MD/MS courses, January 2018 session is October 3, 2017 and the entrance examination will be held on November 11, 2017. For candidates belonging to SC/ST and OBC category, the minimum aggregate marks in all MBBS examinations must be 50% and 55% respectively.